Winter is known for wreaking havoc on the skin. 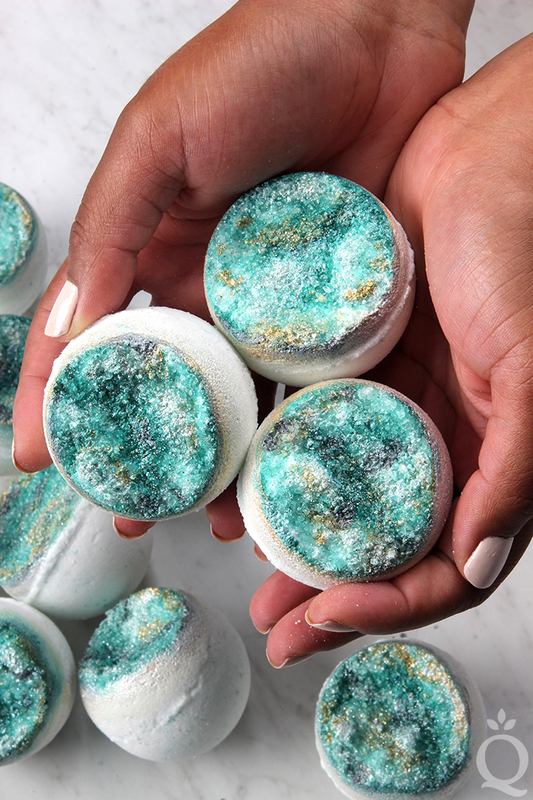 These Salt Scrub Cubes are made with Epsom salt to scrub away dry skin and cocoa butter and avocado butter to leave it moisturized and comfortable. 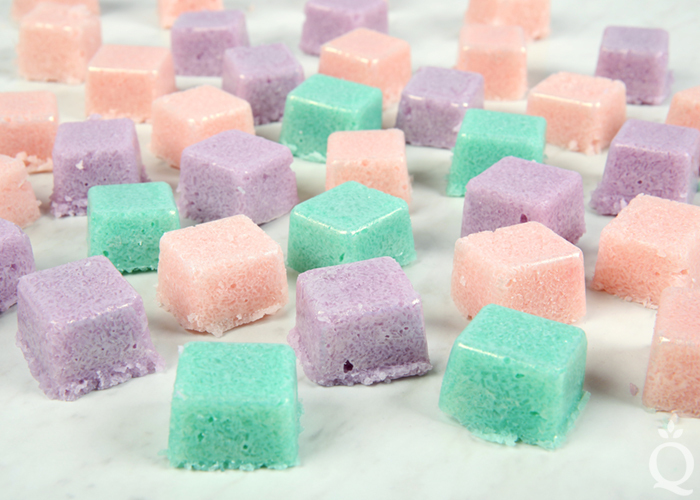 The color and fragrance of these cubes are inspired by gemstones. The batch was split into three containers and scented with Amethyst Fragrance Oil, Moonstone Fragrance Oil, and Jade Fragrance Oil. A dash of coordinating mica was added to each container to complete the gemstone appearance. 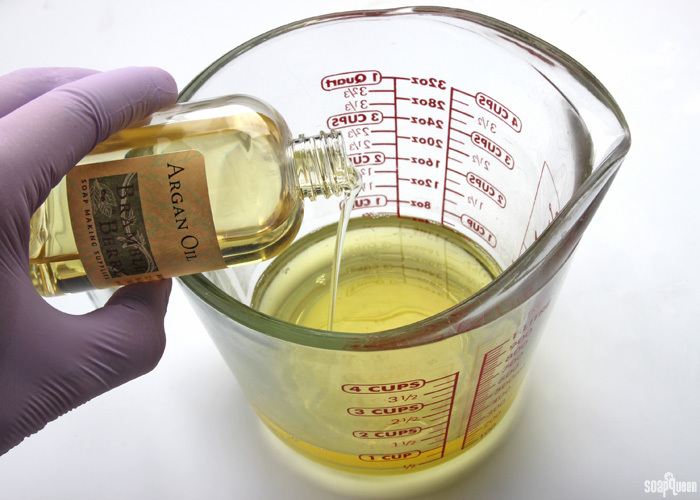 If you want to make one large batch you can – just add 6 mL of one fragrance oil and one mica to the entire batch. 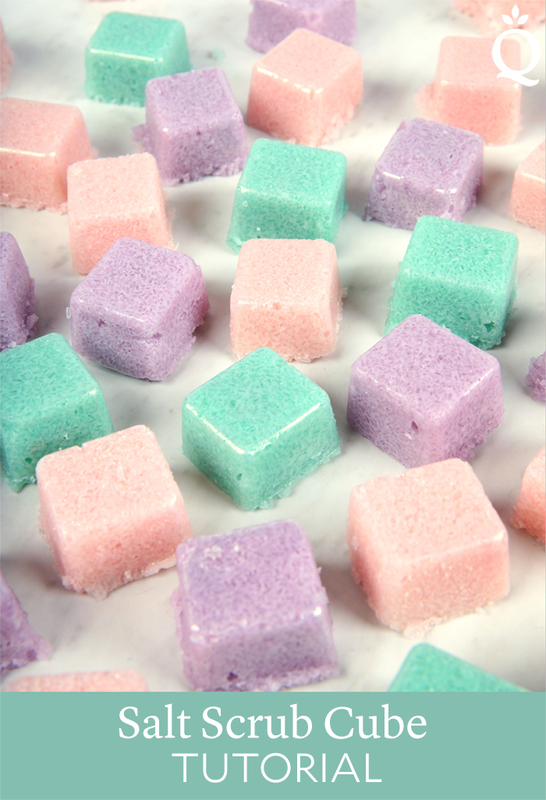 These scrub cubes took plenty of testing to get a solid cube that was also soft enough to spread on the skin. Because they are on the softer side, they need to be stored in a dry and cool place. 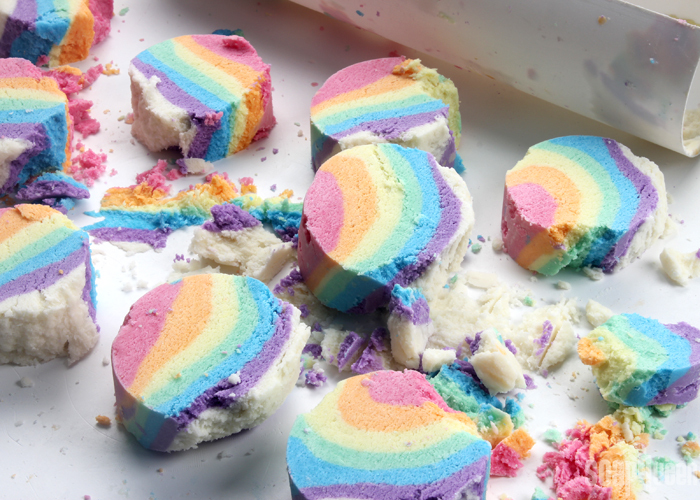 Once the mixture is poured into the Small Cubes Mold & Package, we recommend popping them in the fridge for several hours to get very cold and firm. We found the cubes stuck to the mold when they weren’t extremely cold. 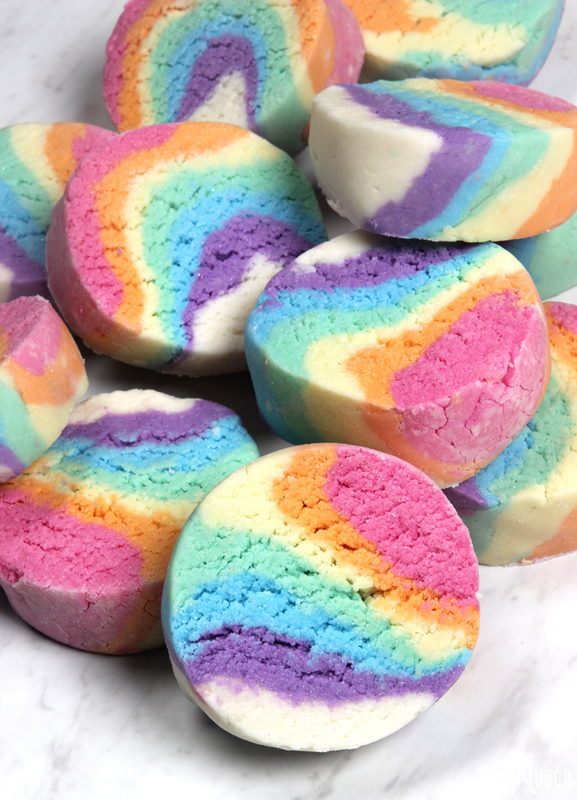 To use, apply the cubes to wet skin and massage in. 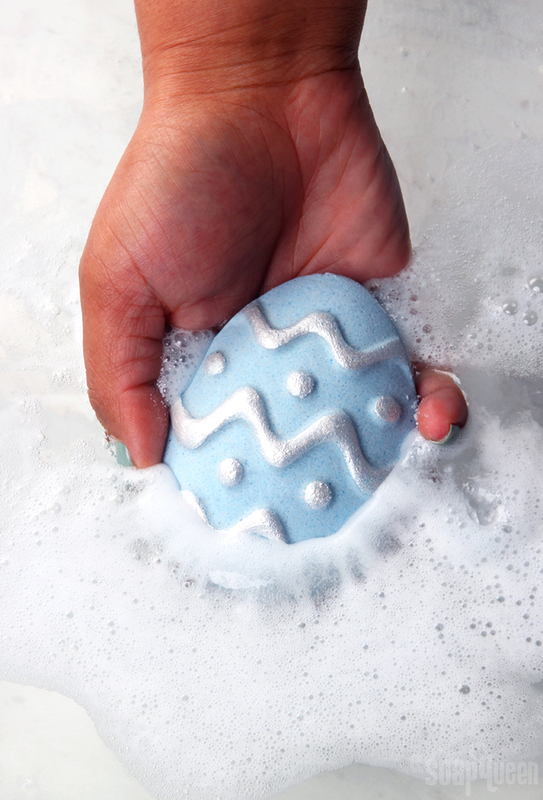 Rinse off and pat dry – no need to wash after. You could also break these cubes under the faucet as you fill up the tub. 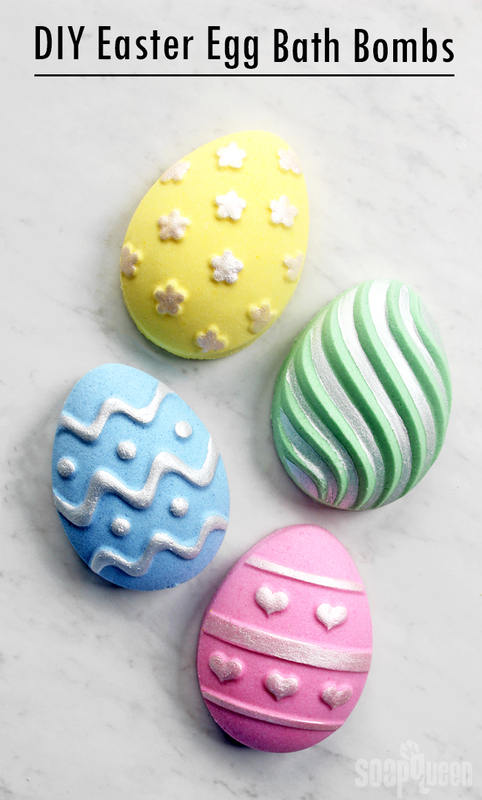 They are essentially buttery bath salts. 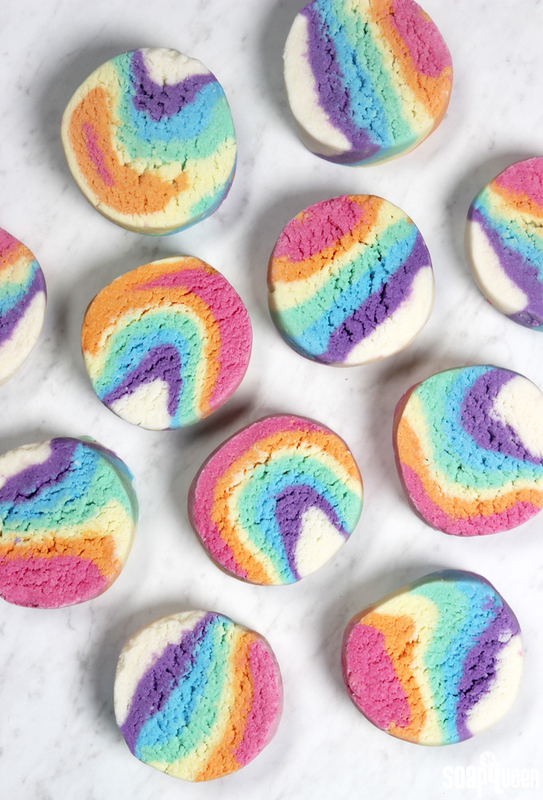 The polysorbate 80 in this recipe helps prevent an oily residue on the skin, but the butters do leave behind a moisturizing feeling. 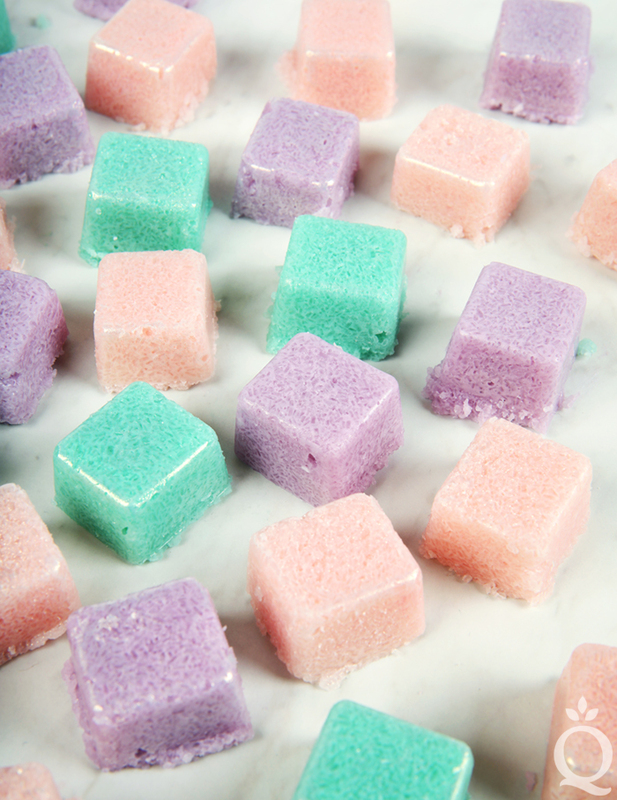 If you prefer a scrub that washes away completely clean, you may prefer the DIY Sugar Scrub Cube recipe. 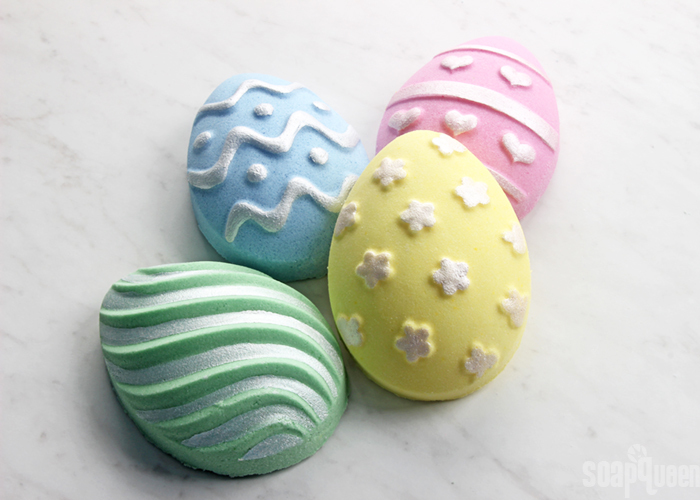 It contains melt and pour soap to cleanse the skin. 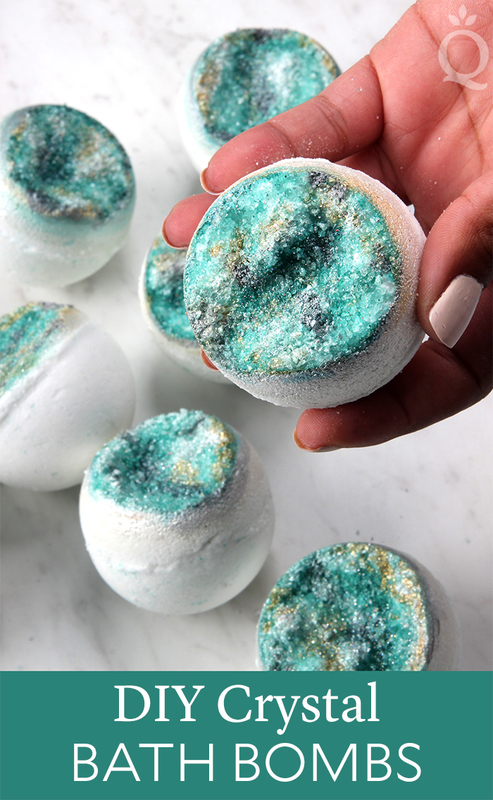 After a long day, nothing is quite as relaxing as a hot bath. 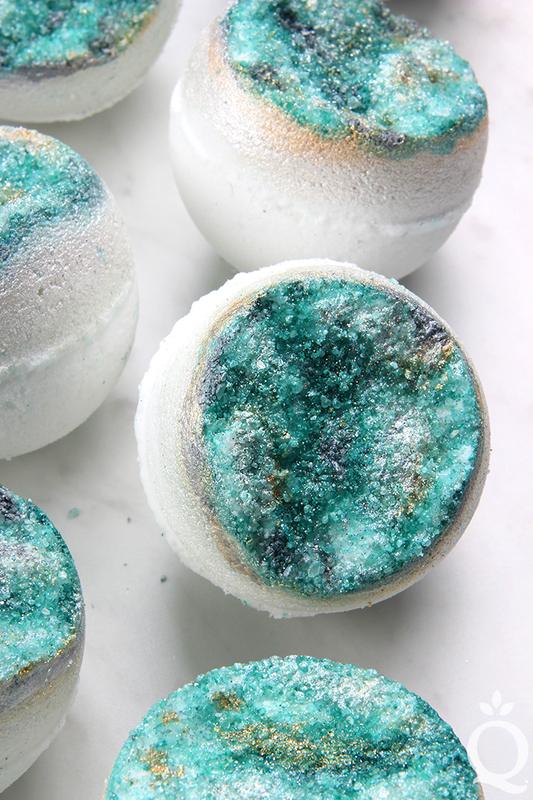 This Herb Infused Bath Oil can be added directly into your bath water to create a moisturizing and calming bath experience. Comprised of argan oil, avocado and infused sweet almond, this combination of oils is full of vitamins E, B1, B2 and A. 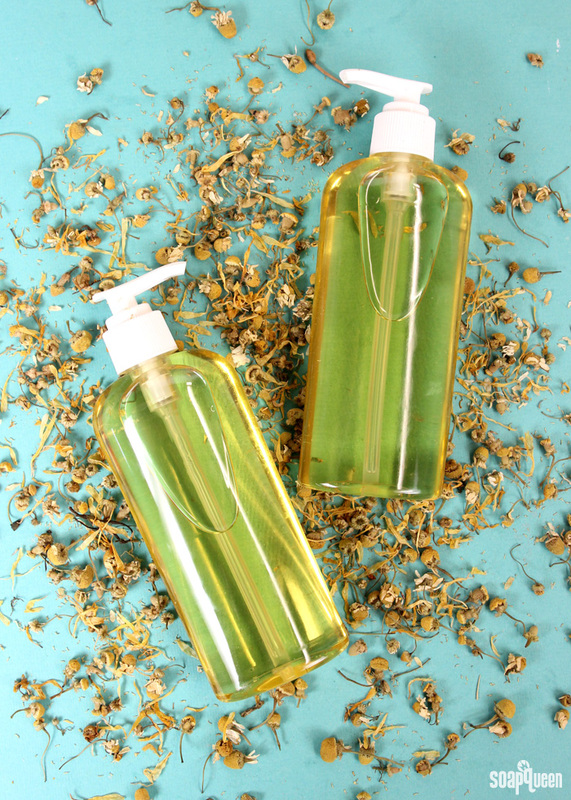 Before combining the oils, the sweet almond oil is infused with calendula and chamomile herb to impart extra skin-loving properties into the oil. Infusing oils is easy and fun. 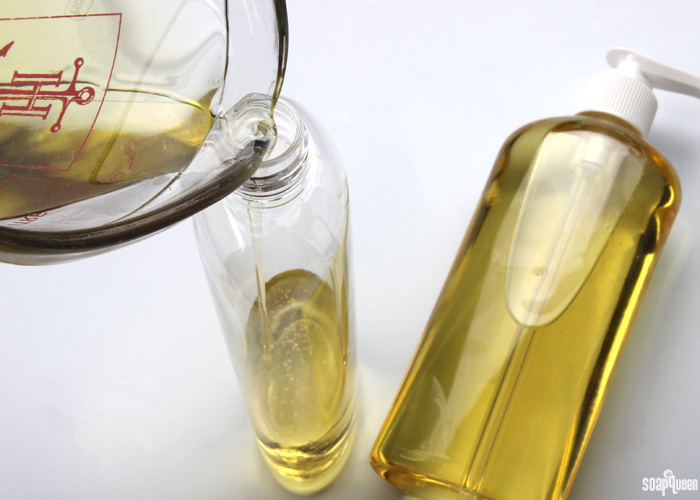 To make this infused sweet almond oil, check out the How to Infuse Oils with a Crock-Pot. If you don’t have a slow cooker handy, you can also infuse your oils with a double boiler, or by using the cold infusion method. 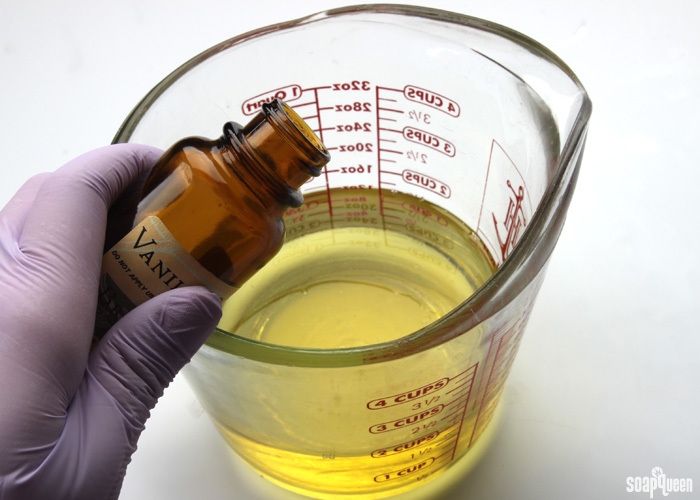 In addition to the skin loving oils, this recipe contains a small amount of polysorbate 80. 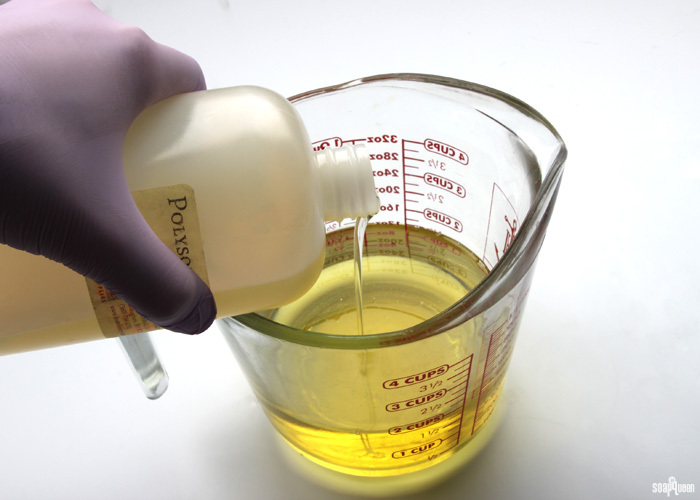 The polysorbate 80 helps the oils combine with the water. Below is an example of how oil behaves with and without polysorbate 80. On the left is plain avocado oil. On the right is avocado oil with polysorbate. You will notice that the addition of polysorbate makes the water murky, but the oil is dispersed evenly throughout the water. To help the oil disperse through the bath water even more, pour the oil under the faucet as the bath fills up. When you get out, make sure you have solid footing and a good handhold. 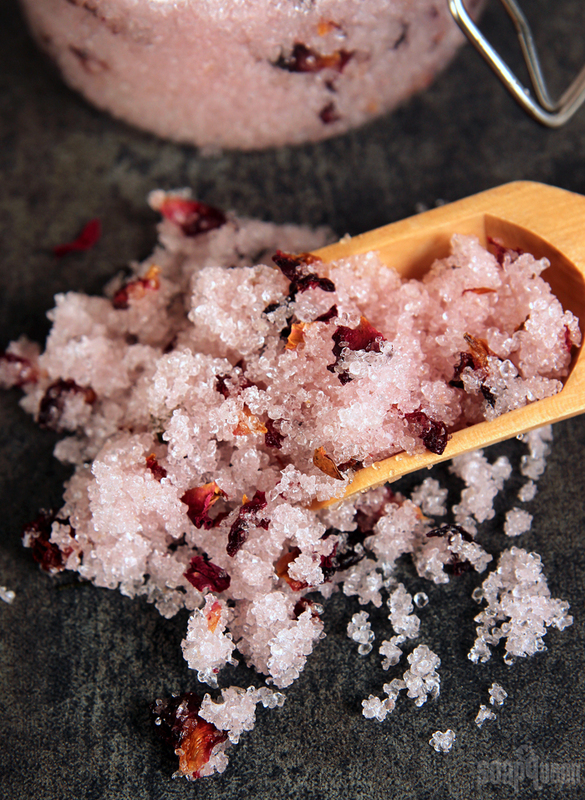 That same oil that is so lovely on the skin makes the tub slippery. ONE: In a container, add all the ingredients and mix well with a spoon. 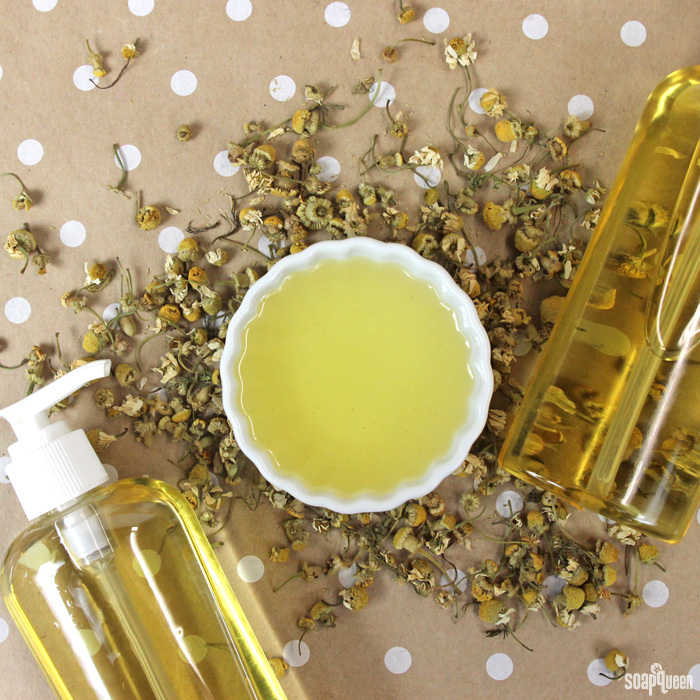 NOTE: The sweet almond oil needs to be infused with the chamomile and calendula before mixing. You can find the instructions for infusing your sweet almond oil here. 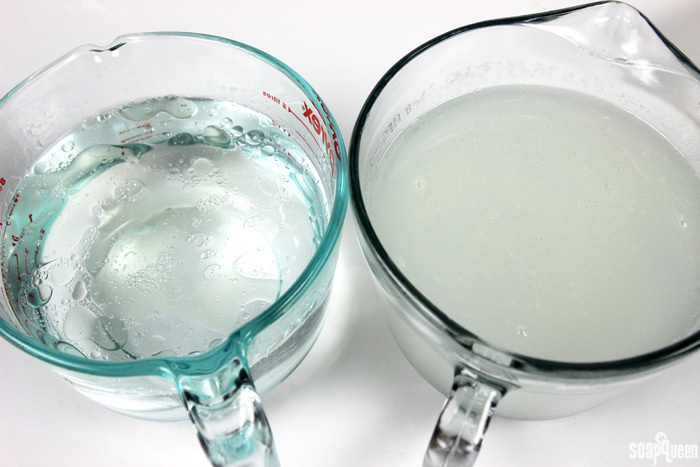 TWO: Slowly and carefully, pour the oil mixture into the bottles. Screw on the cap and enjoy! 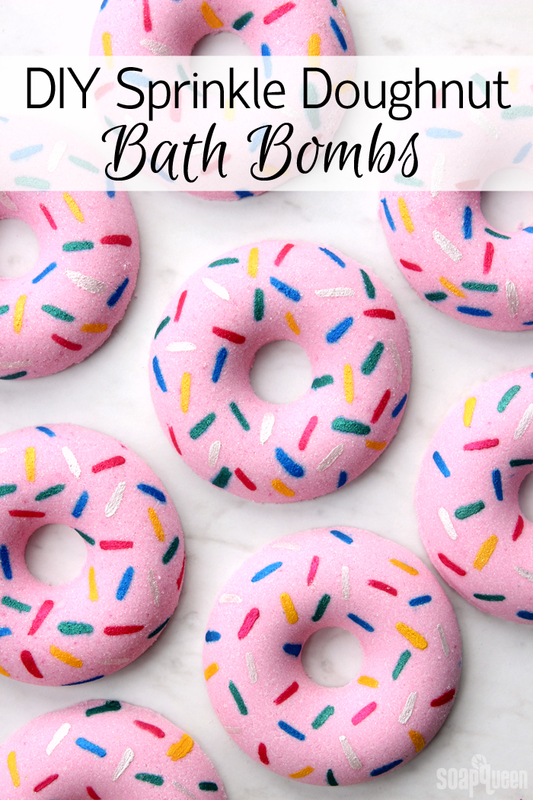 To use, add the oil directly into your bath water. To help the oil mix into the water more thoroughly, pour the oil under the faucet while the bath tub fills up. 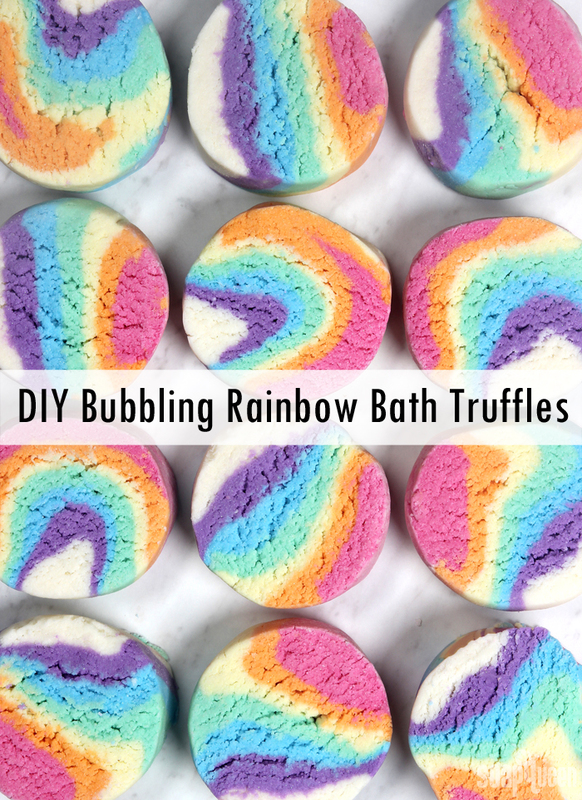 This recipe is pure oil so your tub will be oily when you get out so take care in exiting the tub. NOTE: Because this recipe does not contain water, it does not need a preservative. If you’d like to learn more about how to use preservatives in your products, click here. 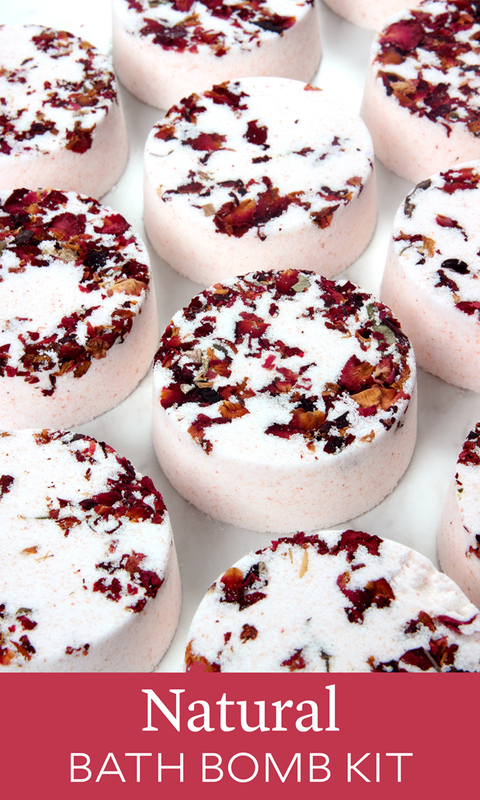 Do you have a favorite product to add to your bath? 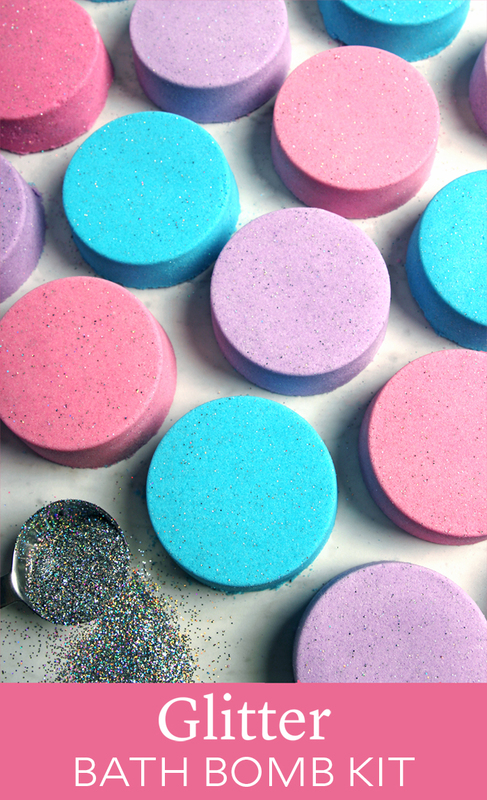 I love bath fizzies! 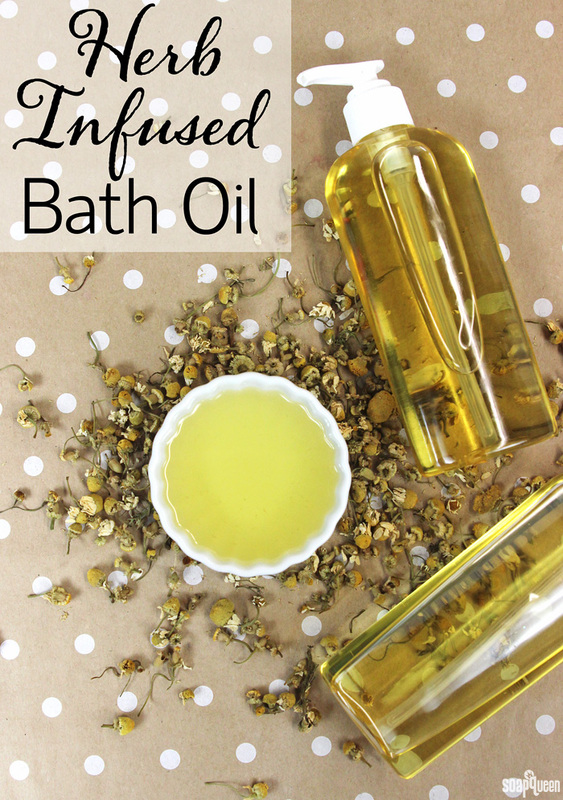 This combination of oils leaves skin feeling smooth and soft! In a container, add all the ingredients and mix well with a spoon. Slowly and carefully, pour the oil mixture into the bottles. Screw on the cap and enjoy! 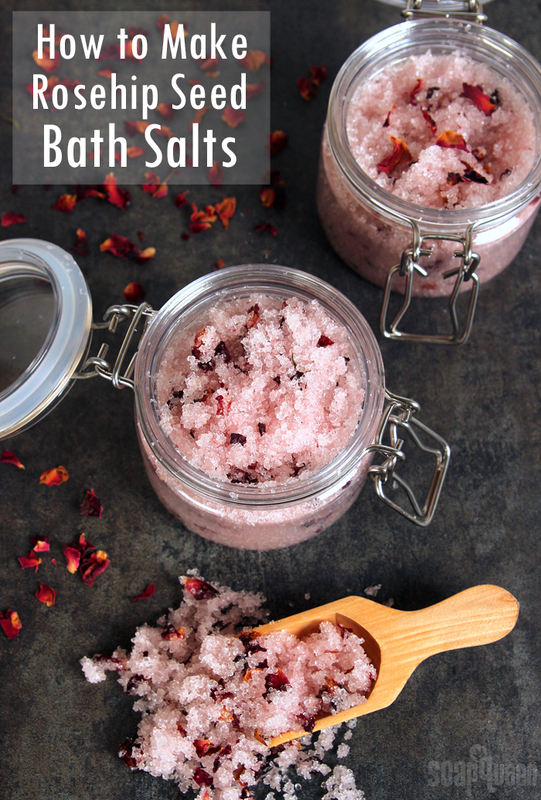 To use, add the oil directly into your bath water. To help the oil mix into the water more thoroughly, pour the oil under the faucet while the bath tub fills up.